The makers of SKIPPY® peanut butter announced today the launch of the BE SMOOTH LIKE SKIPPY™ national advertising campaign created to showcase the smoothness and deliciousness of SKIPPY® peanut butter. Additionally, the makers of SKIPPY® peanut butter have licensed the song “Uptown Funk” from record producer Mark Ronson featuring 11-time Grammy-winning singer and songwriter Bruno Mars. The spot includes the lyrics “smoother than a fresh jar of Skippy”, which tie into the overall campaign. 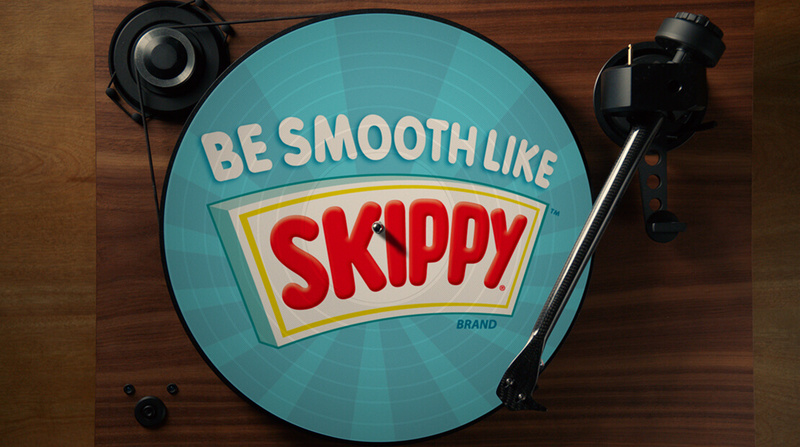 Developed with BBDO Minneapolis, the BE SMOOTH LIKE SKIPPY™ campaign represents the company’s second launch of a national marketing campaign in the past three years. In 2016, Hormel Foods launched a campaign for the company’s new SKIPPY® P.B. Bites product. “When people open that fresh jar of SKIPPY® peanut butter, we want them to say wow that’s smooth, while also emphasizing smooth as an attitude and a way of life,” said David Mackereth, creative director for BBDO Minneapolis. The anthem spot from the campaign can be viewed at www.peanutbutter.com. For more information about SKIPPY® peanut butter products, including recipes, nutritional information and where to buy, visit www.peanutbutter.com or follow the brand on social media at www.Facebook.com/Skippy and www.Twitter.com/Skippy.